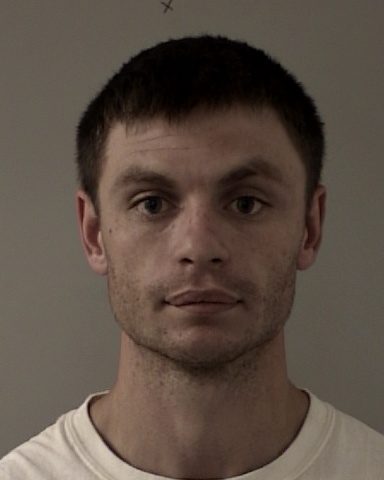 On 05/03/15 at about 9:10 AM, deputies served a felony arrest warrant in the 5000 block of Reservoir Road in Georgetown. The subject of the warrant was 28 year-old Lainey Porter. Deputies thought Porter might attempt to flee when contacted. At the home, deputies contacted three males inside and Porter was contacted outside, running from the back of the trailer. Porter was detained without incident; she followed a deputy’s verbal command to stop. She was taken into custody without incident. Persons contacted inside the residence, to include Porter, were on Probation and subject to search and seizure. Searching the residence, deputies found hypodermic needles and charred spoons, items consistent with the injection of Heroin. At least one of the syringes was partially filled with brown liquid, ready for use. Hypodermic needles and syringes were found in other portions of the trailer, as well as some concentrated cannabis. Concentrated cannabis, a processed form of marijuana, is not allowable without a doctor’s recommendation. Several people who were at the residence had injection sites on their bodies. A pipe normally used to smoke methamphetamine was also recovered. It appeared to have been used. 47 year-old Patrick Schneider of Georgetown was arrested for possession of narcotic paraphernalia and was cited and released at the scene. 30 year-old Christopher Brady, a transient, was arrested for possession of concentrated cannabis and possession of narcotic paraphernalia. Lainey Porter of Georgetown was arrested on her warrant, possession of a controlled substance (Heroin), and narcotic paraphernalia. At the jail, she received an enhancement for being on felony probation. Trash that was being burned on the property was reported to Air Quality Management for follow-up. According to the deputies, the thick black smoke from the burning garbage outside of the trailer had a toxic smell. Information on the piles of trash, debris, and other dilapidated structures, some with exposed electrical wires in the vicinity of propane tanks, was forwarded to Code Enforcement for investigation.